French Champagne Growers Expect Bumper Crop Due To Drought : The Salt A record heat wave ruined crops across Europe this summer, but not all crops. Champagne growers are ecstatic over a bumper crop of grapes this year. Vintage 2018 is expected to be one of the best. 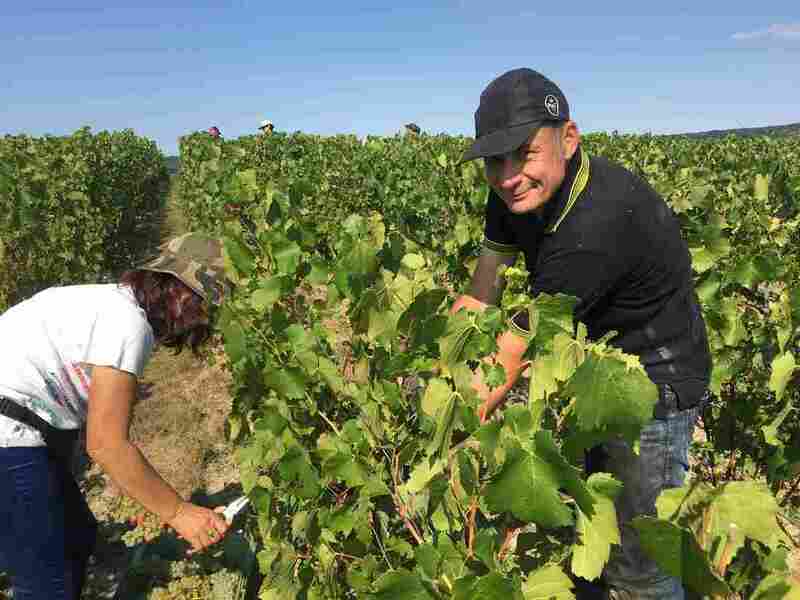 Claude Bucot and his family and friends come to Champagne every year to help with the harvest. He says they come a week or two earlier than they did 20 years ago.